Unhealthy air quality and hot temperatures will continue to be the big issues in your forecast today, but fire danger is on the rise for the end of your work week. 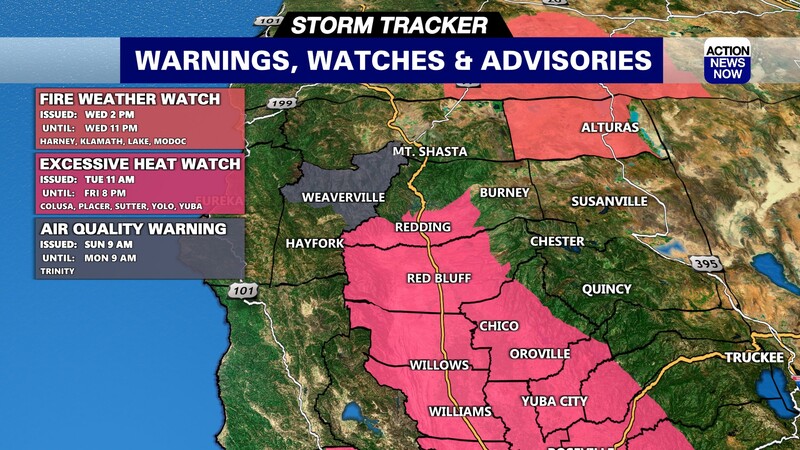 A Red Flag Warning will go into effect at 2pm this afternoon, and is expected to stay in place through 11pm Saturday for the entire valley, the foothills and portions of the Sierra. Gusty South winds and low humidity will be the main driving factor behind higher fire danger. A more short lived Fire Weather Watch will be in place for Friday afternoon and evening in the higher elevations of the Sierra and Cascades. Air quality will continue to range from moderate to unhealthy across Northern California today. Health official continue to advise people to limit their time outdoors, and do their best not to exert themselves in the poor air quality today. Temperatures have dipped into the mid 60's in the valley this morning, and mountain areas have dipped into the high 40's to mid 50's overnight. Winds are mostly light and out of the North this morning, but will be picking up out of the South this afternoon. 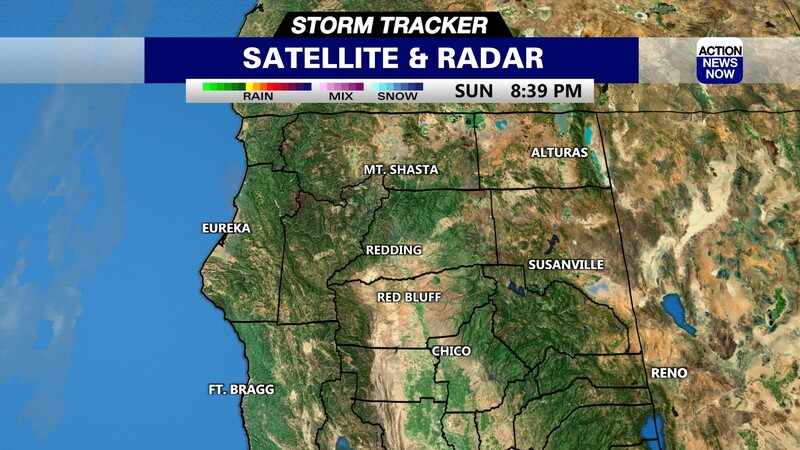 Stronger South winds are expected to develop tonight. Sustained winds will be up to 15mph, with gusts up to 30mph tonight. Humidity will likely dip into the 10 to 25 percent range over the next few days, and will struggle to recover overnight. 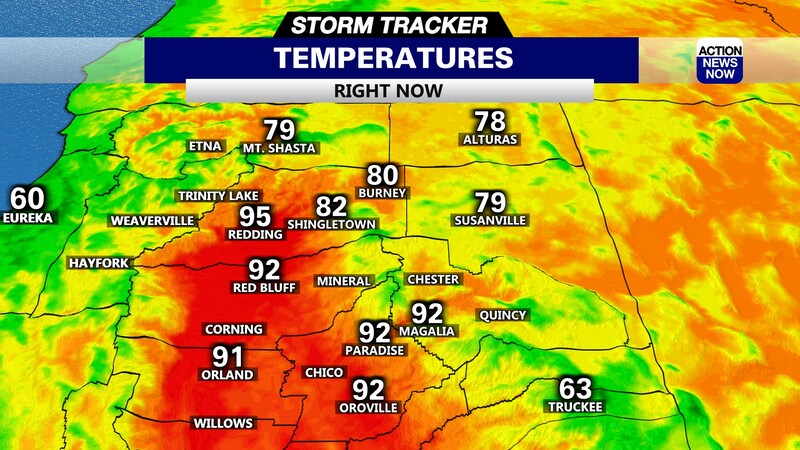 High temperatures will continue to top out in the high 90's to low triple digits in the valley this afternoon, and mountain areas are projected to end up in the mid 90's later today. Temperatures will start to slide downward over the next few days, but will still be in the mid to high 90's in the valley this weekend. The low humidity and gusty South winds will be the main driving factor in elevated fire danger through Saturday night. Winds will start to slack on Sunday and humidity will not stay as low heading into the start of next week. Valley temperatures will stay in the mid to high 90's for the start to middle of next week. Mountain areas will mostly range from the mid 80's to mid 90's heading into next week.